I guess I’m feeling week with this week’s minor infusion of cash, because I gave in to yet another impulse and invested in an eBook reader (obnoxiously called an ereader for short). It’s a Kobo Touch, and it’s purple… most stores are sold out of the good colours, but I think purple is perfect. And it’s quilted. What’s on it, so far? Are Public Schools an Option for Christian Kids? a long essay I’ve been meaning to read from The Old Schoolhouse. I’m assuming their answer will be no, but I’d like to know more. Ruth Beechick, A Biblical Home Education; I had to buy ONE title, the library doesn’t carry Ruth Beechick, it was cheap, and really, isn’t a Biblical Home Education exactly what we’re trying to provide??? If your preschooler desperately WANTS to do phonics worksheets and has the knowledge to do them easily, but lacks the patience and writing skills to sit drawing X’s or O’s around the correct answers, try a bingo marker! That way, he can just “dab” the right answers and be finished even a very involved page (like this 4x3) in seconds! The only drawback is that the marker tends to wreck the reverse side of the sheets. The kids were intrigued by the half-maple-leaf design I cut out (more information in this post), and I discovered that by cleverly folding a piece of construction paper into quarters, Naomi could single-handedly (well, two-handedly) cut out not one but TWO red maple leaves for our Canada Flag craft. The rest of the “craft” was mindlessly easy, of course, even for Gavriel Zev, but they enjoyed it disproportionately well for some reason. You can see GZ has his little mirror here next to his flag. He spent about fifteen minutes just peering at the half-leaf in the mirror. He had the best time when Naomi was doing symmetry in math, too. He just sits chortling at how he can make the picture appear and disappear. So then, just for balance, we made Israeli flags to go with our Canadian ones. It was fascinating because Naomi tried to make hers like the Canadian flag, with the stripes vertical, until I showed her a few pictures on the computer. Sometimes, we assume our kids know things, but it’s helpful to kinesthetize (is that a word) the knowledge anyway. Now she knows that the Canadian flag has two WIDE, VERTICAL stripes (I didn’t use the word vertical, just said “up and down”) right AT the edge of the page. The Israel flag, on the other hand, has two NARROW, HORIZONTAL stripes (“side to side”) which are a little bit in from the edge of the page. So in an unschooly kind of way, this was also a lesson in math/logic, aka same/different for big kids. After they made their flags, GZ insisted on going outside to find a stick to glue his Israel flag onto. Fun! Making flags is something I wouldn’t have thought of doing with them… mostly because I did it a few times with the older kids, and I guess now I’m sick of it. And I always forget that just because I’ve done it a few times, that doesn’t mean THESE kids have done it before. I wonder how kindergarten teachers start to feel, doing the exact same craft every year for 20 or 30 years…? I don’t know if this is the kind of Canadiana Post I’m supposed to include for the Great Canadian Blog Bash, but here it is anyway… sorry! A couple of days ago, I put my foot down. No more Robert Munsch. Well. Even I can’t say no to “Classic Munsch,” our old favourites like Mortimer, A Promise is a Promise, and – every mama’s favourite – Love You Forever. These are wonderful stories with an actual plot. I really do love them. Some of the classics are even helpfully marked by a Classic Munsch “seal” logo. That’s to differentiate them from the book-of-the-week that he seems to be putting out right now, part of what seems to be a full-time push on the part of him and illustrator Michael Martchenko, to record and publish every story no matter how banal and awful. Take this one, for example: Up, Up, Down, which I confiscated when it came in from the library. I heard it on a CD of his stories long ago, but now it’s a book and it’s pretty bad. What do I mean by bad? The simple theme of this book – as with so many of his stories – is: Parents are Morons. Some are a bit broader: Grownups, like teachers, principals, or dragons, are Morons. The message of most of these books is that kids can say no at any time to any authority figure. The rest of the story is about the hilarity that ensues when children have the guts to defy authority. Call me old-fashioned (I’ll thank you for the compliment), but I think parent-child relationships ought to be clearly defined, for everybody’s comfort. This latest batch of Munsch books blurs those lines with awful results. One more I like: Something Good, where the little girl amazingly obeys her father, albeit following through on his moronic suggestion that she stand absolutely still in the grocery store, even allowing herself to be ticketed with a price tag. But overall, the bad ones are catching up and overtaking the good, and I think the Paper Bag Princess sets the tone – or maybe Good Families Don’t, which is (ugh) about farting. I know there’s Walter the Farting Dog and many other books about farting, but honestly – if these stories had any redeeming value, I promise you, I’d mention it here. It says something that Michael Martchenko didn’t do the illustrations for Good Families Don’t… though I’m not sure what. Most of the books don’t have any redeeming social or cultural value. Most of them are just a ridiculous situation that escalates for no good reason – like a kid inviting the whole school to a birthday party and not telling the parents. They make good oral stories, fun to tell a bunch of kids if he’s sitting in a library at a reading. Not much fun in print. I have to say: I feel like the Canadian Grinch for picking on Robert Munsch. But please remember that I rushed to his defense just last May when his personal history of mental illness and addiction became public knowledge. I like him personally and I want to like his books – but more and more these days, I simply don’t. I subscribed to The Old Schoolhouse. My blog posting software doesn’t offer any fonts smaller than that, so I can’t hide it any better. First of all, my love affair with magazines: everybody who lives with me knows this – I love magazines! They are slippery and juicy like delicious noodles, ready to slurp up and enjoy. Second of all, homeschooling. Articles, support, from a religious perspective – albeit not my own religious perspective. Elisheva was appalled when she came across a copy in the bathroom and saw an article all about people’s reasons for homeschooling: they didn’t want to abandon their kids to lousy and immoral public schools; they looked in their Bible and found verses that led them to believe it’s a parent’s responsibility to educate her children. They wanted their kids’ study to acknowledge not just the world itself but the Maker who formed it. I pointed out that these were all things a Jewish parent could say just as easily, but I think she was still appalled. For whatever reason, I feel I have more in common – at least in terms of what I want in a magazine – with these religious homeschoolers who are making their way through the ins and outs of homeschooling than I have even with some Jewish homeschoolers. A while back I ordered a Jewish curriculum resource I will not name and have since been mildly embroiled in negotiations over how much it will cost to ship the thing to me here in Canada. The person who contacted me – in addition to apparently having no SHIFT key on his computer – has not only spelled the product name wrong in EVERY SINGLE EMAIL (it has one “tricky” word, but it’s an English word that any spell checker would pick up). Meanwhile, I consider myself LUCKY that this Jewish organization is selling their curriculum thing to me directly, because some – like Tal-Am when I contacted them – would not. Shy Publishing, who put out the Migdalor Series we use for Hebrew, were friendly enough and open to homeschoolers ordering directly, but the actual rigmarole of paying and shipping were somewhat complicated. So – consider that an explanation. I want to see what the goyim are doing, because (in part) it gives me hope that we too will attain some degree of mainstreamishness in our Jewish community, as they have in their Christian world. Someday, perhaps, we will no longer be seen as nuisances and exceptions by companies selling Jewish curriculum, but as a valid and thriving niche, if not equal to schools in buying power, at least philosophically and ideologically powerful enough to have a say in what our kids learn and who they learn it from. Leave it to me to come up with the most complicated reason ever for subscribing to a magazine, huh? What homeschool support resources could you not do it without??? And… if you’re Jewish, how do you deal with the lack of “cred” given to Jewish homeschooling by publishers and curriculum folks? Today, it was time for the hands-on project, an exploration of both texture – a la Van Gogh himself – and a brand-new medium: oil pastels. Naomi loved the little pastels and was fascinated with the idea of peeling and snapping them. She made a point of using every colour just so she’d have to peel each one, and refused to let me do any. I used pastels as a kid (maybe junior high school?) but didn’t really realize what they WERE – SuperMegaCrayons from the Planet Artizoid. GZ experimented with using crayons and pastels while I showed Naomi the different results in terms of texture and vibrancy. I hate to sound like an ad, but the instructions from the Meet the Masters program were SUPER easy to follow. I am NOT an art person, but they are so stupidly simple: all you need is a pulse to succeed with this program. Lucky for me! One of the big kids actually complimented my finished art piece… it was pretty good considering I have ZERO talent. Then, you switch to black construction paper and draw the horizon. Above the horizon, you create a busy sky full of swirly stars; below it, you use a different pastel technique (lying it down and rubbing) to create a soft “ground” beneath. The goal here is NOT to create an exact replica of Van Gogh’s Starry Night (impossible, except for Ted! ), but to capture a bit of the mood and texture, along with teaching kids a new art medium and the versatility of simple techniques. I’ve already said that Naomi Rivka hates colouring, but the truth is, she’s not very patient with ANYTHING to do with art, and I had to keep reminding her to make teeny tiny dashes; otherwise, she would have drawn giant swirls. In exasperation, she finally asked, “do REAL artists have to be patient, too?” I said yes; sometimes they have to work hard and SLOWLY for days, weeks or even months to finish their art. It was very teachable – the idea that artists don’t just slap out a masterpiece (though some do; Ted generally does!). Which is not to say that I don’t love all her rapid-fire, detailed sketches and doodles!!! I tried to validate that by telling her that that she create her own art, using any technique she wanted, on a fresh piece of construction paper as soon as we were done this project. Her patience finally wore out towards the bottom of the ground. She took almost ten minutes doing the top layer of earth, which looks fantastic, but then she was scribbling, point down, instead of gently rubbing, by the time she got to the end. You can see a few of the scribbles here. I showed her where I’d printed “Mommy” neatly in the bottom-right corner of my starry night “painting.” So she grabbed a white pastel and scrawled her name right across her horizon. Blah. Meet the Masters even provides a printable information slip that you glue to the back of your completed artwork so that when you look at it months or years later, you remember (if the cheap Dollarama glue hasn’t fallen off) what the heck you were trying to accomplish and what artist you were studying at the time. More and more, I am liking these programs that arrive only as printable PDFs. I like having them on the hard drive and not worrying about rounding up books, photocopying materials, etc. Not to mention clutter! I guess the downside is having to rebuild everything – my thousands of free downloads, printables I’ve created, and paid PDFs – should the hard drive ever fail. Agh. Let’s not think about that. All in all, a good art lesson, and I’m looking forward to our next artist: Mary Cassatt. We’ve already done one of her paintings for Picture Study with First Language Lessons, and for some reason, Naomi is obsessed with her already. Canada Day – Welcome, Great Canadian Blog Bash!!! Uh-oh… just realized I’m supposed to have a welcome post here and add my linky… whoops! WELCOME!!! I will be trying to do a few things of Canadian interest this week to welcome visitors from the Blog Bash Linky. When you’re finished here, don’t forget to visit other Canadian blogs participating in the Blog Bash over here! Let’s start by teaching the consummate song about Canada to a new generation!! To help you out, I am using BOLD FACE type for all Canadiana references!!! But first of all – if you use PayPal, and live in the Toronto area, and are planning to go to Canada’s Wonderland this summer, you have a few hours left to jump over to this post and read about a very special offer from PayPal. I don’t usually push special prices, but this was one I couldn’t pass up. So - on with the show! First things first – I’ve created a FREE printable PDF MiniBook with the official lyrics to “O Canada.” Very simple. Print, cut the pages along the dashed lines and staple down the left. Enjoy! Okay… now this book, Dover’s Around the World Coloring Book, isn’t Canadian (as you can tell from the spelling of “coloring” in the name), but I just bought it over the weekend and I love it. I photocopied the Canada page out of it because there’s colouring plus some good information. And because of the postal strike (yay, Canada!) I was forced to buy it locally at Scholar’s Choice, who were unexpectedly helpful and friendly when I called to ask if they had it. I felt a little embarrassed because the author’s name is Winky Adam. It’s not MY name, but I felt embarrassed saying it. You can peek at a preview of the book here. While I was out, I also bought a gigantic Canada flag and Canada jigsaw puzzle at Dollarama, a Canadian chain that sells mostly Chinese junk. Not the traditional kind of Chinese junk – the junky $1 kind. I didn’t look at the packaging for the flag, but the puzzle says it was published by Leap Year Publishing in Andover, MA… and then there’s the ubiquitous Dollarama China at the bottom. So there you go. But who in Canada can possibly make puzzles for under $2??? I also bought a package of air-dry clay with the intention of making a relief map of Canada sometime this week. We’ll see how that pans out. Now for some more PDFs and printables! Whoo – fun! A semi-addictive “Connect Four” type game played with Canuck Coinage. Here’s another mini-book you can make for free. This is from homeschoolshare.com, which has a bunch of Canada country-study lapbook components you can also download. Canada Day colouring, a TP-roll Mountie craft, puzzles and other stuff from a British site. A few more printable colouring pages, emblems, etc..
More recommendations for recipes (poutine? ), song sheets, skits, printables and more. Grades 2-3 Unit Study with helpful links and discussion questions. Connect the dots Canada flag. Speaking of flags… I kind of wish we had a more interesting flag. I remember as a kid being SO bored colouring Canadian flags (I guess Japanese kids have it pretty rough, too). So I think that instead of colouring, we will cut it out of red construction paper, with a quick lesson in symmetry of the maple leaf. 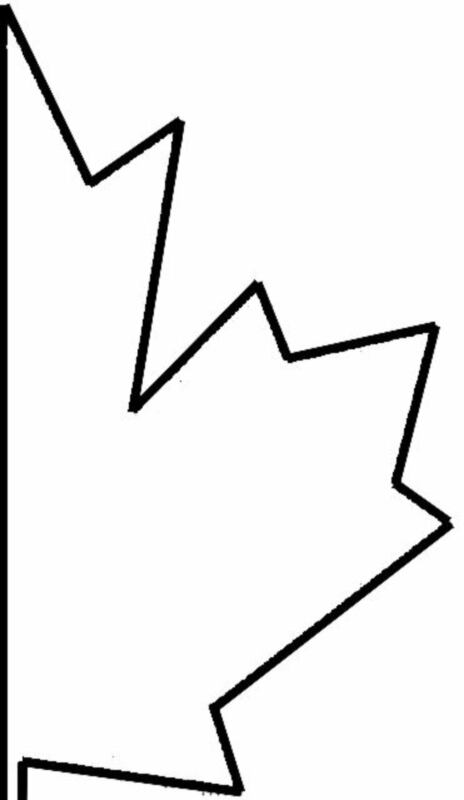 Here’s a half-leaf template you can use if you want to cut out a maple leaf rather than sit for hours colouring one. I’ve already mentioned how much Naomi loves colouring, right? (not!) And we ALL love symmetry! This pattern actually comes from a plan for a Maple-Leaf Kite, which might be a great project to work on this week for a family in the right mood. What are you doing with your kids (homeschooled or otherwise) to teach them about Canada??? Some of the pictures, like the shasta daisy, just about took my breath away: I have never gotten pictures that good out of my camera. Elisheva says it’s because everything is at eye level for Naomi. Here is her own special picnic-table “weed garden.” It includes (big square pot) dandelions she planted from seed, (round pot) a “weed maple” I pulled up and handed to her, which is now thriving, and (small square pot) a sprig of golden creeping Jenny that she saved when it was entwined with some ribbon grass I was pulling out. They are each so precious to her… she’s always running outside and checking on them. Yay, it’s still Monday!!! And it looks like this week is supposed to be my favourite kind of summer weather – cool as a cucumber. Tuesday (Riverdale Farm, baseball game): Pretzel dogs – Naomi’s request, Mango-Poppy salad dressing - Elisheva’s request. With salad, of course. Wednesday (big kids camping w/aunts): Some kind of breaded fried fish (Ted request)- with WHAT on the side??? Thursday (Vegan Vursday! ): Farmers’ Market fare on focaccia (fof?) and/or pletzl w/pea soup aka “Pease Porridge” to go with this week’s Literature Pocket Nursery Rhyme. Shabbos Dinner: @ Mommy’s – to bake challah, cake. Sunday: big kids on PLANE to CALGARY!!! Toronto-Area Readers: Awesome Canada’s Wonderland Deal! Tickets are “only” $37.28 each – $32.99 plus tax, which is 41% off – for PayPal users. We haven’t been in years, but I had to jump on this one. Click here to buy – remember to enter the promo code “PayPal” before you make your purchase. My father used to take the kids to amusement parks, so I didn’t have to… but if I don’t do it, I guess nobody will. Once again, I have to speak at my mother’s shalosh seudos next Shabbos, so for once, I started preparing EARLY – like yesterday, on Shabbos. I don’t write divrei Torah often and without a formal yeshiva or “seminary” education, even a baal teshuvah yeshiva/sem, fortunately don’t get tagged all that often. And here’s where my wanderings led me this time around. I have a few days, so feel free to fact-check, proof-read, and tear this thing to pieces if you’d like! The Torah doesn’t come with punctuation. Sometimes, that confuses us or causes machlokes – dispute. But sometimes, that gives us tremendous freedom to play fast & loose with the meanings of the words. On the surface, the pshat / literal level, it means “This is the law: if a man dies in a tent, anyone entering the tent and anything in the tent shall be impure for seven days.” That’s what our great teacher Rashi says: the tent is impure along with anyone who enters while the body is still there. Clean-cut; simple. But because it comes to us without punctuation, we can pick it apart – what freedom! We can prop up the first bit on its own: “Zos HaTorah: Adam ki yamus baohel” - “This is the law: a man should die in a tent.” Now that’s a bit different. What’s a tent? We know from Bereishis, the beginning of the Torah that the Torah uses the word in connection with Avraham. After he became a Jew, Avraham was “יֹשֵׁב פֶּתַח הָאֹהֶל” – sitting at the mouth of his tent. But the word is used again in connection with Yaakov. Eisav, his wild, red, hairy brother, is called an “אִישׁ שָׂדֶה / ish sadeh,” a man of the fields – an animal! While Yaakov, is “יֹשֵׁב אֹהָלִים / yoshev ohalim” a refined dweller in tents. Rashi explains that “tents” here refers to the yeshivas founded by Shem and Ever, the righteous sons of Noach. Tents, then, represent Torah, torah Study, a life of Torah. Avraham sat at the entrance to the tent – he pointed the way. But Yaakov lived in a tent – he made it all the way inside. And now the parsha tells us we should die in a tent. What does that mean? Don’t think so much of yourself just because you’ve learned a lot of Torah: it’s what we’re made for. Two major events of this week’s parsha are joined by a thread, as it were – connected, but just barely. The first is the Para Aduma, the red heifer and its purifying ashes. The second is the shortage of water and the ensuing rabble-rousing of the Jews. Incidentally, 38 years pass between them – hard to imagine since they seem to happen one after another, so quickly. And the only thing linking the two events – the para adumah and the water shortage – is the death of Miriam, tzadekes and navi’ah. It’s the first memorable thing in 38 years. Amazing. There are two lessons, two threads which connect these narratives. First, the death of a tzaddik or tzadekes is thought to atone for its generation. Miriam’s death purified her generation just as the ashes of the red heifer, the para adumah, purified them. So a tzadekes has died, taking with her some of the sins of her generation. Where’s the hoopla? Where’s the hesped, the eulogy? Moshe, who davened for Miriam just a couple of weeks ago, crying out to Hashem, “please Hashem, heal her now” is startlingly silent at her death. And for Miriam, what did they do? They ganged up to kvetch against Moshe and Aharon – there wasn’t any water. Not a tear, not a clue that their greatest asset has been lost. Who can survive half an hour in a desert without water? So now we start to see who the Torah is hinting at when it says “Adam ki yamus ba-ohel.” The one person in the parsha who lived utterly this ideal of nullifying herself, of “dying” every day, for Torah was Miriam. Dying not bodily over those thirty-eight years, but surely dying in the sense of killing off her own ego, of handing over the grandeur and hoopla, the thunder and lightning and accolades, to her younger brothers Moshe and Aharon. Which makes sense when we think about Sarah Imeinu in Parshas Vayeira. While Avraham was sitting at the mouth of his tent, his three visitors (who are really melachim), ask him, אַיֵּה שָׂרָה אִשְׁתֶּךָ, “where is Sarah your wife?” His answer: הִנֵּה בָאֹהֶל - “Behold, in the tent.” This is taken midrashically as praise of her modesty and domestic virtue. Tents, again. A very fitting topic for summer, a season of camping. A season of coming and going, a season of temporary living arrangements, and a season of transition from one activity to another. Two women: tents for living and tents for dying. But these are really the same thing, because the type of “death” a person must experience for Torah isn’t really physical death – it’s the death of ego, it’s setting aside vanity and personal aspirations for the goodness of Torah. B’sefer milchamos Hashem es vahev basufa. This is a surreal reference, hard to understand in the midst of some very concrete wanderings. It’s sometimes translated as “‘What He gave at the Sea of Reeds and the Streams of Arnon.” But it’s still ambiguous – plus, the idea of the “Book of the Lord’s Battles” is never repeated anywhere in the Tanach. Was it an actual book, which was lost, or a metaphor which was never used again? Where does this come from? The word “vahev” contains a bit of the root AHAV meaning love. Suf, besides meaning reeds, also contains the root word Sof meaning END. The phrase "the Wars of the Lord" [refers] to the debates within the House of Study, the dialogue and disputation about Jewish law and the meaning of sacred texts. The Mishnaic, Talmudic and Midrashic literature are, for the most part, anthologies of argument: "Rabbi X says this, Rabbi Y says that." There is no attempt to gloss over the differences. To the contrary: the texts preserve not the conclusion of the debate but the debate itself. In Pirkei Avos, we learn that a dispute for the sake of heaven will endure; it will last forever. While a dispute that is not for the sake of heaven will pass away; it will be forgotten. When two sides fight, not with weapons but with ideas, they recognise that their very disagreement presupposes an agreement: about the value of argument itself. Two chess players may be bitter adversaries, but they agree on the rules of chess and their love of the game. Most importantly, the chess players love the game more than they love THEMSELVES, just as the true “yoshevet ohalim” – the tent-dwelling woman – loves Torah more than she loves herself. Of her, we say she “dies” in her tent in the same sense that Sarah lived in her tent: modestly, privately – but powerfully enough to sustain an entire generation and even to atone for them. Do you know how many Parah Adumahs were slaughtered in total during the years the Jews wandered with the Mishkan in the desert, and later, with the Bais HaMikdash in Yerushalayim? I was very wrong about this – I thought, like the korbanos of Yom Kippur – it was done every year. How many years were there between the time this mitzvah was given and our current exile? · 440 years of the Mishkan wandering, including hundreds parked in Shiloh. So that’s about 1200 years of history (though some of those counts are fuzzy). And how many times did they do the mitzvah, this 397th positive mitzvah, to slaughter an unblemished red cow? Nine times! Midrash says, in fact, that the tenth parah adumah will be offered in the time of Moshiach. I’m guessing you get a lot of ashes from one cow, so they didn’t need to do it that often. It was a very rare, and very special mitzvah. But the way the parsha describes it, there’s no way to differentiate the wording from that of lighting the menorah, which the kohein lit each and every night. Okay, there IS one way to tell. Hashem says, unusually, “וּנְתַתֶּם אֹתָהּ אֶל אֶלְעָזָר הַכֹּהֵן” – give the cow to Elazar the kohein. Not to Aharon, which is Hashem’s way of hinting that Aharon is going to die soon and that this is a mitzvah more for the coming generations than for you. And the ashes, too: if they only burnt nine parah adumahs, they would have needed to find extraordinary ways to stretch those ashes through time, across generations. All that is left to the imagination, and the mitzvah is described in such a matter-of-fact way you’d think it happened every day. It’s the same with the death of Miriam. With Moshe’s death, and Aharon’s, the camp shuts down for 30 days. For Miriam’s death, they don’t even miss a single beat. You’d think a tzadekes like her happened along every single day. But like the Parah Adumah, she was rare and special. And her merit stretches through time and across the generations. People often ask about the role of women in Torah Judaism. It troubles them because they can’t see us: we’re not on the bimah, not holding the Torah; we’re not always front and centre in the same way the men and boys are. But that doesn’t mean we’re not here, and as we see from Miriam, that doesn’t mean that we and our Torah study are not truly sustaining our generation and most importantly, nurturing – WATERING – the coming generation. May we all merit to be fountains like Miriam, sustaining those around us – family, friends, and each other. Starting on Monday, Canada post will be beginning the process of sorting the hundreds of bazillion packages just like mine that have arrived from other countries in the past couple of weeks since the strike began. Canada Post says, “We will move as quickly as possible to process and deliver the mail,” but “it will take some time to stabilize our operations.” Some time had better be 24 hours or less. An hour is “some time,” right??? Well, not really… I’m focusing on childrearing and housecleaning today, so hopefully Ted will do something foodish when he gets home. Two whole stuffed chickens w/tinned pottos and carrots all around – stuffed with sage and lemon thyme; if time (not thyme) is short, or low-carb version desired, use herbs and a whole lemon inside instead. Elisheva-made dairy scones for Shabbos lunch. She calls them sKONE-z but I call them sKON-z, the British way. Chocolate corn flake bars dessert from kids’ cookbook I picked up at VV last week on an impulse because everything is bars and they all look delicious. Boiling-water-poured-over Blueberry Pudding Cake – I used to make this very often but we all got sick of it and now I haven’t made it in a few years. It’s super-easy… I’ll post the steps on my Bread Blog after Shabbos! Reflections from a week of fixing my mother’s aging computer. Just because your computer is going on 6 – ancient in computer years – doesn’t mean you can’t still have wonderful computing experiences with it. Follow these tips and see if you can’t get it back up and running almost as well as it used to. System Restore won’t protect your data – your photos, word processing files, PDFs, music, etc. So if you want to be super-safe, back that up, too. But in an emergency, I’ve found that it’s almost always possible to scoop it off a hard drive that hasn’t gone into total physical failure. So! First of all, what’s slowing your computer down? Go through the following areas, in the order shown. Try not to jump around. The order is important. Oh, and do only one thing at a time. Is it malware (ie the bazillions of baddies, viruses, adware etc out there on the wild Internet)…? Do a virus scan using Eset’s online antivirus scanner. It isn’t a permanent solution, but it will help you get a good start on things. Let the scanner deal with whatever it finds; don’t keep it – just get rid of them all. Download, install and run MalwareBytes Anti-Malware. Run a quick scan and do whatever it says to get the first pass of baddies off your system. Any web browsers on your computer – AVOID IE>7 if possible, in my experience. I choose Firefox but others close to me swear by Chrome. Whatever you have, update them ALL, not just your primary browser. They all have security holes that need patching. Java – or update via the Control Panel: click on Start-> Control Panel (Classic View)-> Java (looks like a coffee cup) -> Update Tab -> Update Now. Background Programs: Check the lower-right-hand corner of the screen (system tray). Is it full of little icons? There should only be a few listed there. Do you need all of them? Every one of those icons runs in the background and slows your computer down a little bit. Unnecessary Programs: From the Windows Control Panel > Add/Remove Programs – remove every program you don’t know or don’t use. Many come installed, many install themselves. You probably don’t need them. Let’s hope you don’t. Hard drive cleanup – from My Computer, right-click on your main hard drive. Defragment your hard drive. Nowadays, this is a last resort that doesn’t usually fix anything. Hard drives are so big and defragging is so slow that it’s rarely worthwhile… but if you’re nearly maxed, it could be helpful. Save any unsaved work. TFC will close all open application windows. Double-click TFC.exe to run the program. Note: Save your work. TFC will automatically close any open programs, let it run uninterrupted. It shouldn't take longer take a couple of minutes, and may only take a few seconds. Only if needed will you be prompted to reboot. It may not SEEM like Internet connection is the problem, but the Internet could still be your weak link, as it is for my mother. Even when you’re not “using” the Internet, many programs now connect behind your back to download updates and information in a way that is supposed to be unobtrusive, unless you have a slow 5mbps connection and suddenly the unobtrusive background connection bogs down the whole system. Check your connection speed at SpeedTest.net. My download speed at the moment is 13.02; it sometimes goes as high as 20-ish. My mother’s is painfully slow at around 5. Run the test 3 times, preferably at different times of day. You can also try the CNET Bandwidth Meter. My line speed is usually just under 20,000, but the laptop on the same line is only around 6,000. Run the test 3 times, preferably at different times of day. This site lets you compare your result to see how it stacks up compared to other types of connections. If the results seem very slow, contact your ISP and find out what you’re paying for. You may need to invest in a faster Internet service. Finally… virus protection isn’t perfect (here’s an old article I wrote on that very topic), but still - protect your system in any way you can. Re-run Eset’s online antivirus scanner. Let the scanner deal with whatever it finds; don’t keep it – just get rid of them all. Run MalwareBytes Anti-Malware. Let it remove whatever it finds. If your virus software is out of date, and has not been paid for, is no longer downloading updates because your subscription has been expired, and you don’t feel like renewing it, it is WORSE than useless. If you want to buy software, you can. Check the ratings first. If you don’t want to pay, then install AVG free. It’s MUCH better than nothing. Advanced (or get a geek to do it for you): Replace your HOSTS file. Here’s a geek step that can be very helpful – it manually blocks a hard-coded list of known malware sites. The list, with all the necessary accompanying geekery-pokery, can be found here. I’m not going to give step-by-step directions for this step because if you can’t figure it out from the info provided, you shouldn’t be messing around with this step. What a snob I am!!! Update your hosts file from this site every few weeks. * Advanced users only: download, install and run HijackThis. Remove any startup entries you are comfortable deleting. Download, install and run WinPatrol Free. Click on the tab for Startup Programs and read through the list. Most should be from Microsoft or company names you recognize. If you don’t recognize a program or company name, don’t remove it right away! Google it. Ask around on a forum, like bleepingcomputer.com. Some obscure programs are necessary and will destroy your system if removed. Have I scared you? Good! I think that’s it, and if you have done all this, your system should be running tickety-boo! If it’s not, well, you may just have to call somebody, or better yet, post a question in the appropriate forum at BleepingComputer.com. The admins there are VERY helpful, but they are all volunteers. Be patient – they take up to a week to reply to your first post, but then once they’re on your case, they are sometimes quite fast. Follow all their suggestions and tip them with a PayPal donation if they manage to fix your system. Interview with MOI in Where What When? What was the impetus for the MamaLands to choose home schooling their children? “It began as being a lot about tuition but has become mostly about balancing secular and general studies,” explains Jennifer. “I haven’t found a school that excels at both. It’s also about Israel. We have a fine religious Zionist school here, but it tends to attract a less religious crowd. I don’t believe I have to compromise my religious standards to embrace Israel and to embrace a rigorous (even classical) secular education. Initially, I began home schooling my older son, because his day school, financially strapped as they all are, didn’t have the resources to meet even his very minor special-ed needs. There are no schools here for kids who are bright but who need help to learn. “I won’t pretend tuition is not a factor. Day schools here cost $10,000 to $12,000 a year. Though subsidies are available, the subsidy process is terribly humiliating. I’ve been through it the last 11 years running, and it never gets easier. And paying so much for mediocre education? Sickening. Many of the student pages in the Story of the World Activity Book are actually just colouring pages, and I was dreading getting through a year of colouring with her. But I do think the pictures are well-done and helpful, so I want her to look at them… and that’s when I realized: I couldn’t care less if the pictures end up having colour. And that she really, REALLY loves to draw and/or doodle. Which is how I came up with the brilliant idea (though probably hundreds of parents have come up with it before me) of having her DOODLE on the history pages instead of colour them in. Constructive doodles, doodles that relate to the story and the time period and the setting. Here, she has drawn Tarak, the fictitious nomad child from Chapter 1, and her obnoxious brother, getting ready to go for a swim in the river Euphrates. I showed her the rivers (she coloured the mapwork on the reverse side) and made her pick one as the setting for her picture. I wrote the caption. The kids are drawn VERY faint because we had a VERY busy day and she was pretty near the end of her rope by the time she did this and we were rushing to get to the homeschool drop-in. But I really do believe she learned more today, and it will stick longer, than if she hadn’t interacted with the picture at all. I really want this colouring book to go with our geography studies! Naomi really doesn’t like colouring very much, but this book has enough interesting facts to draw her in, I think. Plus, it’s cheap. Cranky Complaints-Lady in an Election Year! Sent this evening... variations to all MPPs and provincial leaders. The one below is the governing-party version, which includes the paragraphs about implementing all-day kindergarten. Feel free to copy, paste, and pass along to any provincial leaders in your riding. As we approach the coming provincial election, I'm wondering if your party has considered offering some type of financial relief to parents educating their children outside the public school system. Your party seems rather proud of its track record in introducing all-day kindergarten in Ontario, but as a parent of four, I feel the program is a disaster that will ultimately produce little by way of educational results, while "relieving" parents of their higher responsibility to care for and educate their own children. I am shocked at the money being wasted on all-day kindergarten, its rollout and propaganda, while my two children, JK and SK age, receive nothing because they are homeschooled. Meanwhile, my older children, in Grades 10 and 11, earn the same math, science and history credits as public-school kids through Ministry-accredited Jewish high schools, and, again, we have received not a cent from the province for their education. If we were Catholic, they'd have a free ride through high school, but as it is, I believe this government is focusing its attention, educationally, on the wrong areas and ignoring the many Ontarians who are opting out of the system. I realize the full-day program has already been implemented - at great cost to me and zero benefit to my children - but I would be interested in seeing the data to back up your claims that "A full day of learning... makes the transition to Grade 1 easier for both parents and children." Okay, to be honest, I don't care if it's easier for parents, though I know parents are the ones who vote, but by what criterion do you measure "easier for children?" (Do they cry less because they are used to the idea of being abandoned?) Also, Dr. Hoskins's site claims that "students who achieve early success in school are more likely to perform will [sic] later in school." I would be interested in these data as well. Does "early" really mean at ages 4 and 5? Your thoughts and comments on behalf of your party - on the issue of accomodating the true diversity of Ontario families and their educational choices - would be most appreciated. Correction: YBoy who loves to make corrections has pointed out to me that his high school courses are actually free because he takes them through an online public high school. I don't think it changes the central point by that much. בְּמִדְבַּר / Bamidbar / Numbers 16:1-18:32: Read it; hear it; colour it. No parsha narrative overview this week. Copywork and parsha activities available at this page – updated weekly. Till one of them pulled out a ball. “Who says that that teacher’s the boss? And the ball hit the flagpole mast. Now who wants to learn here from me? And spelled the names backwards, I think. So Sue just stood tall on her chair. Making facts up from her head. “I can do better!” each student said. While Sue in the corner just hid. A leader is what Hashem gave. And keep the school safe with their rules. Gavriel Zev hard at work! Starting the School Year… in June? Working on the Shavuos Lapfolder! Free Shavuos Printable Easy Reader Mini-Book!